Are Google+ brand pages like a fine wine, will they improve with time? Are Google+ brand pages like a fine wine, will they improve with time? You Are Here:Home / Social Media / Are Google+ brand pages like a fine wine, will they improve with time? Google+ is like a firecracker: the fuse was lit and anticipation grew; some sparks appeared and online marketers craned their necks to see what would happen; it wavered in the sky and threatened to go out; it burst into an impressive array and the world flocked to the now public social network; the array fizzled out and headed for the ground. Yesterday Google+ lit another firecracker; one it hopes will stick around and maintain interest for a lot longer than its personal profiles: Google+ pages for brands. This is big news for companies looking to expand their online presence, especially on social networks. Initially, when Google+ first launched and brands tried to create pages they were removed. Google stated that it was working on functions specifically for brand pages and companies were told to exercise some patience. Now that patience will be rewarded – hopefully. Here’s a round-up of Google+’s brand page news on the web. 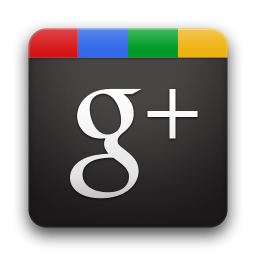 Google+ brand pages will trump Facebook in that it will cater to a wider array of businesses. However, fans won’t be as easy to come by as users have to “opt in” to receive updates and brand news. For this purpose there is an “opt in” button so that users can elect to join a specific circle. For instance, you can join a circle for Levi’s Curve jeans and not Levi’s Skinny jeans. Users can also subscribe to a page (become a fan) via direct search queries – but this won’t be automatic. Peter Stinger believes that Google+ brand pages could be even more important than Facebook in terms of corporate social networking. Google holds the key to search engine results and no matter how many times it says it isn’t biased towards its own products, featuring on a Google product (maps, YouTube, images, Google+) acts highly in your favour. Furthermore, he believes that while the wind has gone out of Google+’s sails in terms of active personal profiles, brand pages will have much greater reach and staying power. My advice is to take Reed’s advice. The man makes a lot of sense.